Susan holds a Master of Music degree from Kent State University. For sixteen years, Susan taught public school orchestra in Clinton/Jackson, Mississippi, and Greenville, South Carolina. She has played cello in many orchestras, including the Oshkosh Symphony, Canton Symphony (OH), Meridian Symphony (MS), Mississippi Symphony, La Crosse Symphony, and presently the Red Cedar Symphony, Eau Claire Chamber Orchestra and the Chippewa Valley Symphony. She is the cellist and one of the founding members (2000-present) of the Chippewa Valley String Quartet, and is also a cellist in the Clear Water Chamber Players. 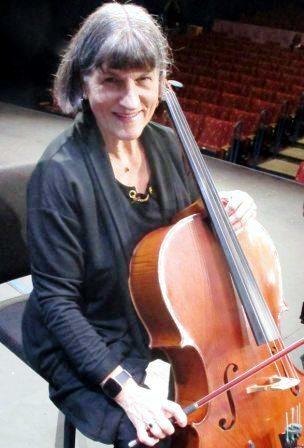 She has created cello ensembles, as well as an adult intermediate level orchestra known as The String Connection. Susan has taught private cello lessons since college, and is now running a cello studio in Eau Claire, Wisconsin, under the name The Cello Connection.